Grittiness and bold, testosterone-laced styling cues are hallmarks of the Jeep model family, and nowhere is this commitment to off-road quality more prevalent than with the Jeep Wrangler. The Wrangler family is truly iconic and has been for decades, with stellar V6 power and iconic styling leading the charge throughout the generations. 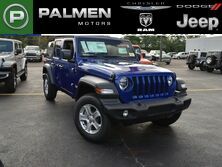 If you’re looking for a brand-new Jeep Wrangler model, you can get one with great specials and incentives added on here at Palmen Motors! Our dealership has been able to serve the wonderful residents of Kenosha and its surrounding areas for years now, and we pride ourselves on getting you behind the wheel of a quality ride for a price that’s affordable for your budget. 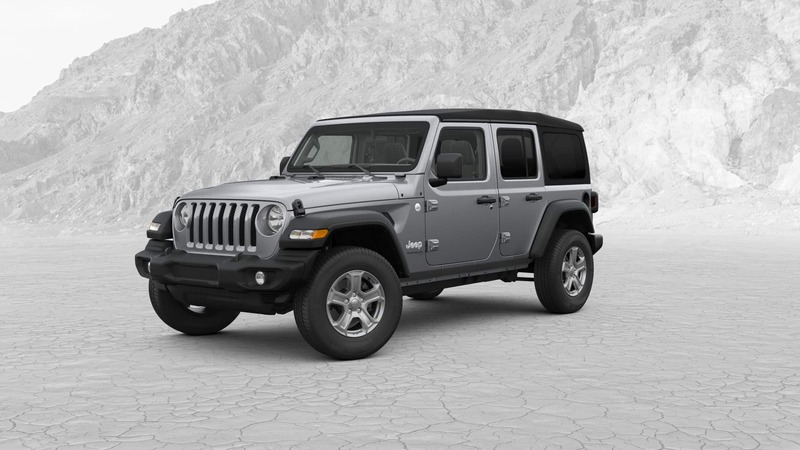 Keep reading below to learn more about the new 2019 Wrangler, its specials, and how you can get approved for credit financing (or schedule a test drive) today! Price does not include sales tax, title/license/registration fee, Dealer Service Fee, Dealer add-ons. All leases have $3,999 due at signing. Please see Palmen Motors in Kenosha for details. 3yr/5k. Featuring a 3.6-liter Pentastar® V6 engine (able to produce up to 285 horsepower and 260 pound-feet of torque), three distinct 4x4 systems, and front-rear Dana® 44 axles, it’s no wonder why the new Wrangler sports a proud Trail Rated® badge. It’s truly one of the best companions on today’s American market for whichever adventures you‘re looking to tackle next. 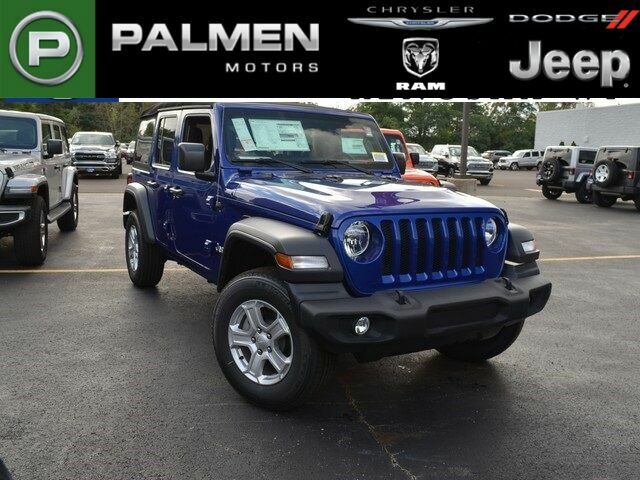 Besides its Uconnect® infotainment system, the new Jeep Wrangler offers many highly capable tech innovations and features (including a Rear Park Assist System, Rear Back Up Camera, Adaptive Cruise Control, Forward Collision Warning and more) to aid you as you head down the street. It’s because of this that the Wrangler can proudly boast both brains and brawn. Unlike most of its cookie-cutter automotive counterparts, the Wrangler has a distinct and noticeable design that can evoke auras of confidence and adrenaline. Sporting iconic round headlamps, 17 or 18-inch black wheels, removeable doors, large skid plates and a retractable soft-top roof, the Wrangler is a perfect addition to your journeys no matter what the weather conditions might be. .
Knowing all that we’ve mentioned above, and seeing all the great incentives and specials that are available for the new Jeep Wrangler, there’s never been a better time to get behind the wheel of MotorTrend’s 2019 SUV of the Year. We encourage you to contact us today if you’d like more information on our current Wrangler offers, or if you’d like to get behind the wheel for a test drive. We’re looking forward to seeing you soon!